While there are several newcomers to the Top 10, WINX (AUS)  returned successfully to the races, easily won the Winx Stakes (G1), and remains on top in the seventh edition of the LONGINES World's Best Racehorse Rankings for 2018. Coming off a 126-day break, Winx won the race named in her honor by two lengths. The race was formally known as the Warwick Stakes (G2), and Winx also won it in 2016 and 2017. Winx races next in Saturday's Colgate Optic White Stakes (G1), which she has won the past two years as well, as she attempts to notch her 27th consecutive victory. 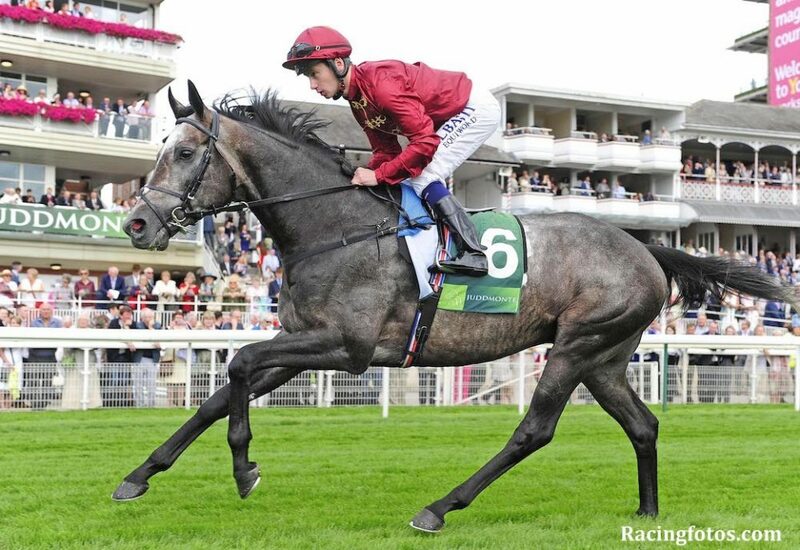 Breaking into the Top 5 is ROARING LION (USA) , who improved his rating from 122 to 127 with his 3 1/4-length victory in the Juddmonte International Stakes (G1) over POET'S WORD (IRE) . The 3-year-old colt, who also won the Coral-Eclipse (G1) in July, headlines Saturday's Irish Champion Stakes (G1) during Longines Irish Champions Weekend. Taking over the sixth spot is ACCELERATE (USA) . Previously rated at 121, Accelerate dominated his rivals in the $1-million TVG Pacific Classic (G1), as he pulled away to win by 12 1/2 lengths. He came into the race having won the Gold Cup at Santa Anita Stakes (G1) in May. ENABLE (GB) , the 2017 European Horse of the Year, is now ranked co-seventh after making her 2018 debut in the 188Bet September Stakes (G3), where she defeated CRYSTAL OCEAN (GB)  by 3 1/2 lengths. The 4-year-old filly, whose season was delayed by injury, is looking to defend her title in the Qatar Prix de l'Arc de Triomphe (G1) in October. ALPHA CENTAURI (IRE) , who will compete in Saturday's Matron Stakes (G1) during Longines Irish Champions Weekend, improved her rating in her last outing and is also now in the Top 10. The 3-year-old filly, who rose to 124 from 122, took on open company to win the Prix du Haras de Fresnay-le-Buffard Jacques le Marois (G1) over RECOLETOS (FR)  by 2 1/2 lengths. In his next start, Recoletos won the Prix du Moulin de Longchamp (G1). Additionally, CATHOLIC BOY (USA)  finds himself ranked after his four-length victory over MENDELSSOHN (USA)  in the Runhappy Travers Stakes (G1). This entry was posted in Racing and tagged accelerate, catholic boy, enable, longines world's best racehorse rankings, roaring lion, winx, World's Best Racehorse Rankings by Press Release. Bookmark the permalink.